IWAI Online Membership is an service for members and branch officers. Members can join the association online, manage their profiles, renew membership, access services such as the online store and members web forum. Branch officers have limited access to own branch records such as branch accounts and branch membership lists. Join IWAI New members can join online, self register their personal profiles and contact information. New members will receive a 'Welcome Pack' by post including their membership card and boat sticker, in addition to a 'Welcome' email confirmation. Manage Profile Members have their own secure login account for this web site. Members can at any time amend their profiles including contact details, change of address or email changes. Personal contact information is protected and only used by this association for notifications of association activities, important news, renewals, the online store, and distribution of IWN Magazine. 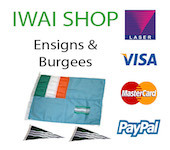 Online Store The IWAI has operated a sucessful online store for many years offering members a range of useful items such as waterway maps and guides, books, burgees, ensigns, ties, clothing and boating related souvieneers. In the next phase your secure online account profile may be used to sign on to the store and make secure payments without the need to reenter contact details and address information with every order. Branch Officers Branch Secretaries and Treasurers may use the secure area for internal use only and as an aid to delivering services to members. Association officers do NOT have access to sensitive personal account information, nor information relating to other branches. Branch Asset Register launched April 2014. Tool for keeping track of branch equipment and assets, including location and valuation. Lough Derg Rally Online Entry forms go live Feb 2014. Members can now enter and pay rally entry fees online. Shannon Rally Online Entry forms launched May 2013. Members can now enter and pay rally entry fees online. Branch Profit & Loss Accounting system launched July 2012. Branch treasurers can now use IWAI Online365 to record and produce their branch accounts online. Dual Branch Membership Launched at IWAI AGM. Members can now affiliate with upto two branches for a reduced fee, but with full rights. 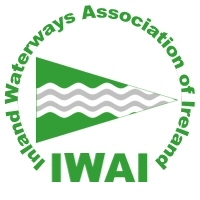 Personal contact information stored by IWAI Membership Online is secure, used exclusively by the Inland Waterways Association of Ireland, and is NOT made available to 3rd parties or external bodies. Account information is encrypted.